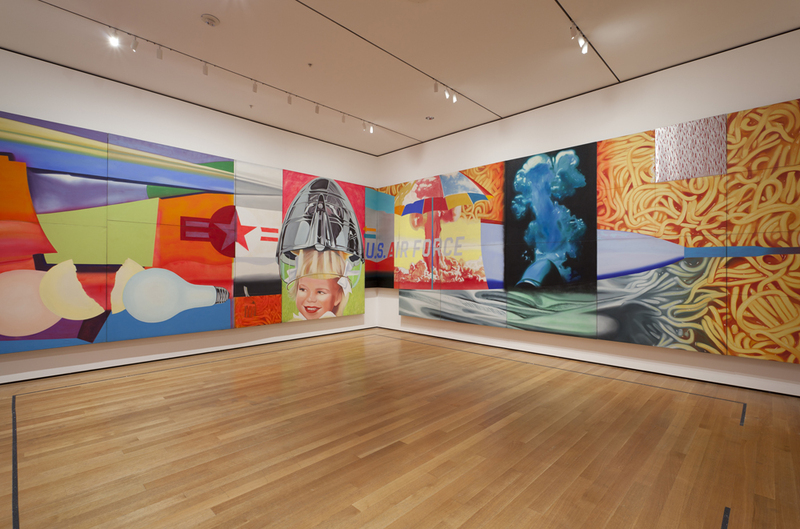 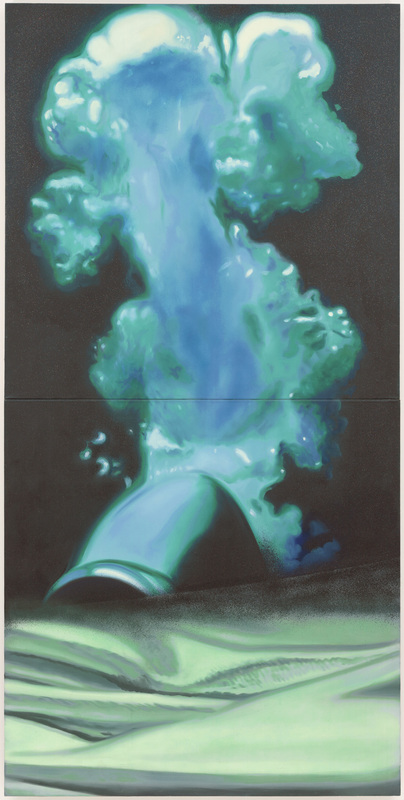 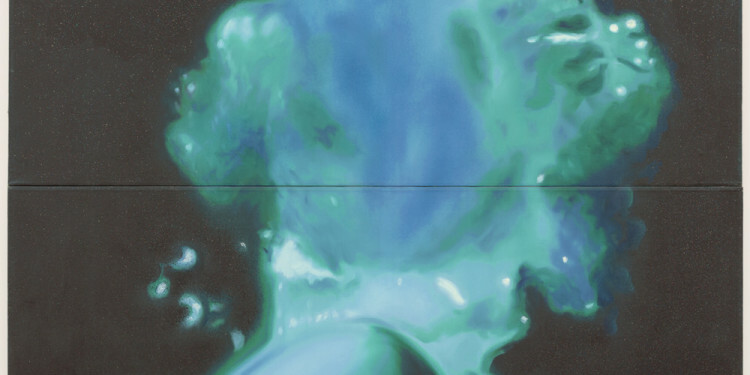 James Rosenquist designed the eighty-six-foot-long F-111 to wrap around the four walls of the Leo Castelli Gallery, at 4 East Seventy-Seventh Street in Manhattan. 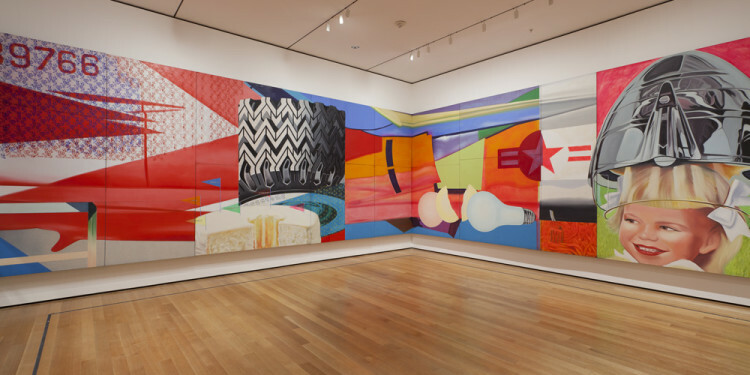 He began the painting in 1964, in the middle of a turbulent decade marked by the escalating Vietnam War. 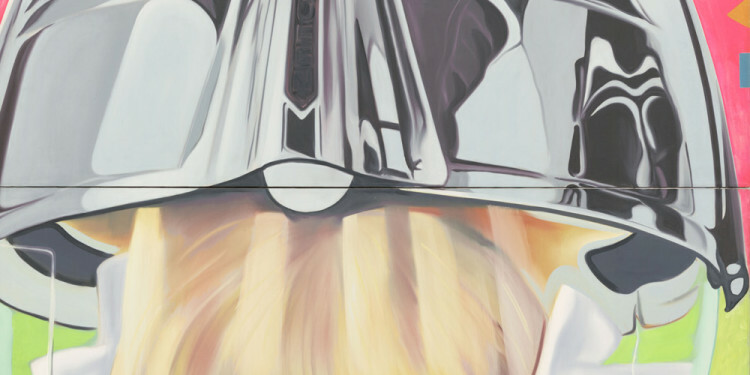 Funded by citizens’ tax dollars, the F-111 fighter-bomber plane was being developed as the USA’s newest, most technologically advanced weapon. 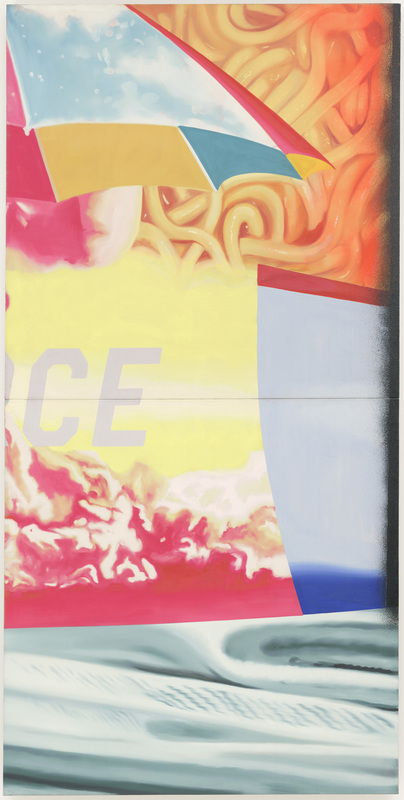 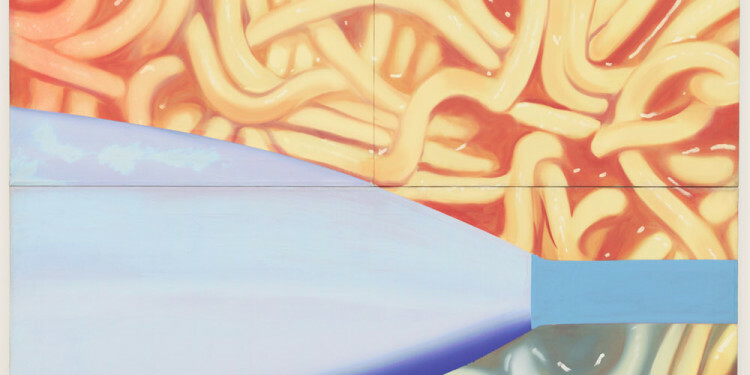 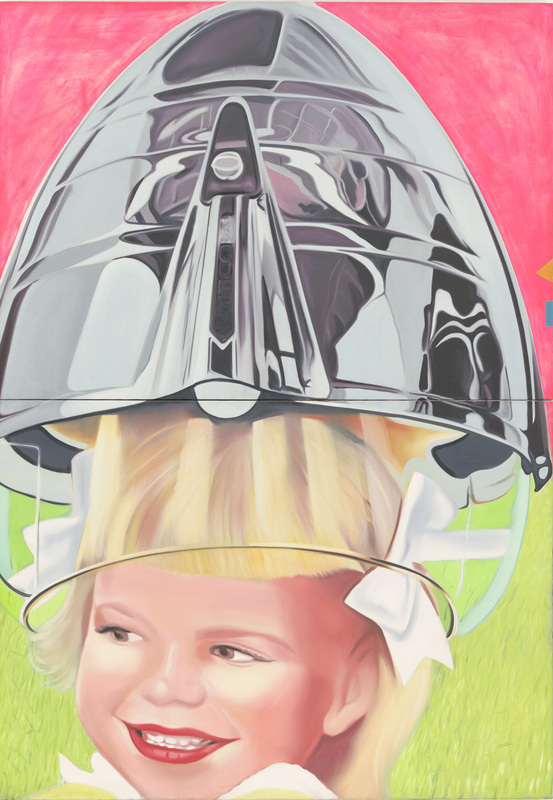 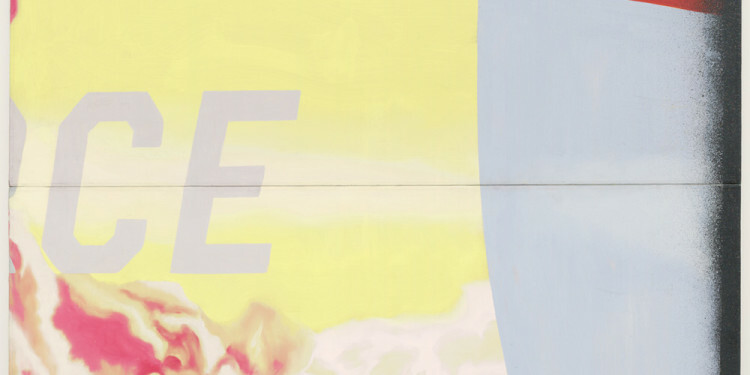 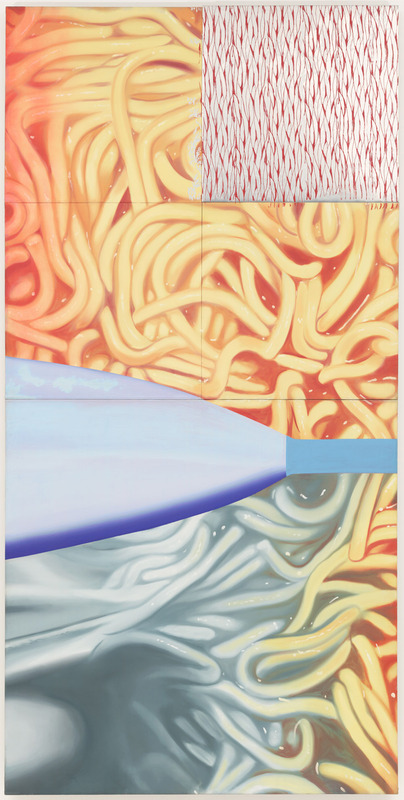 Rather than celebrate its military might, Rosenquist used the plane as a symbol of the economic implications of war. 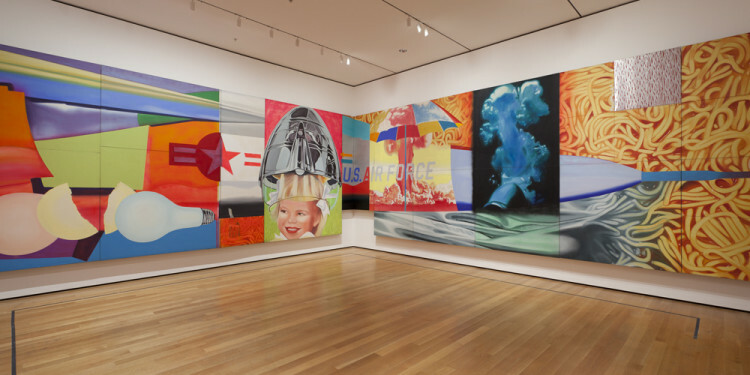 As it flies “through the flak of consumer society,” he later explained, the jet’s sharply pointed fuselage pierces superimposed images of commercial products and references to war, such as the bullet-shaped hair dryer floating above a young girl’s head and the atomic mushroom cloud frozen behind a beach umbrella. 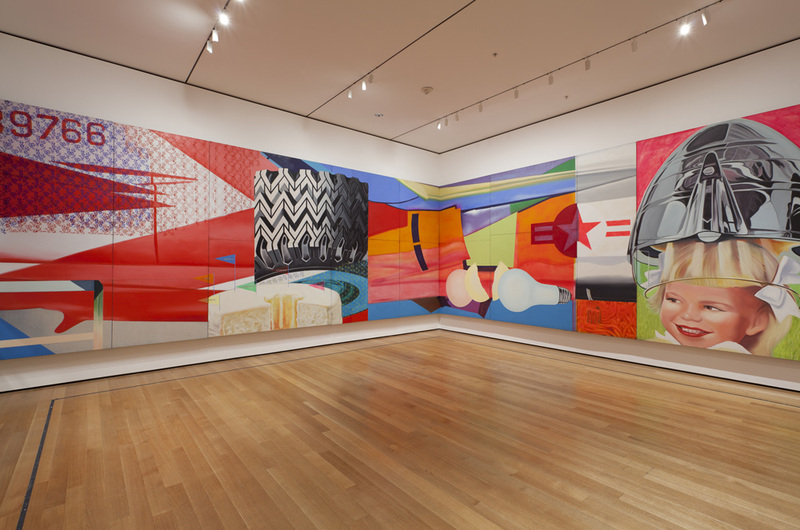 Through its expansive network of colliding visual motifs, unfolding across twenty-three panels, F-111 questions what the artist has described as “the collusion between the Vietnam death machine, consumerism, the media, and advertising.” Its jumps of scale, surprising juxtapositions of fragments of imagery, and vivid palette exemplify Rosenquist’s singular contribution to Pop art in the United States.